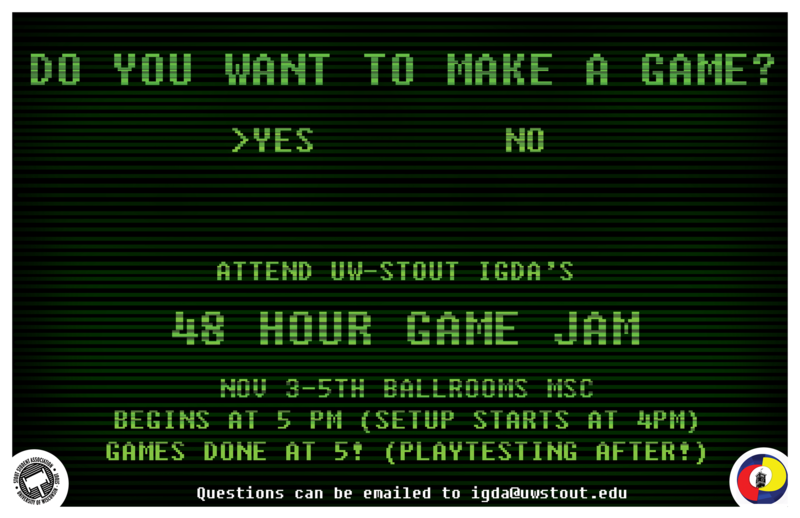 This page is for all the submissions for the UW-Stout IGDA Fall 2017 Game Jam! Theme will be revealed on site! We are adding a rating system this year, so keep an eye out for details during the event. All teams must be present (at least one member) from 5:00 p.m. Sunday until the end of the event. Accounts that submitted projects are now encouraged to rate other projects on various criteria. These will factor into the final results of the jam! Conquer the five stages of grief in this side-scrolling puzzle platformer! Make your way to heaven. Colect-a-thon platformer with a jetpack.